The illustrated stories explain how to behave in the space – from how the entry queue works to where to go if you need a run around. An accompanying “sensory map” shows parents hotspots to avoid if children are particularly sensitive to busy areas, loud noises, multimedia or low light – common issues for people on the spectrum. Project co-ordinator Priscilla Gaff says eight families were instrumental in providing feedback about what worked and what didn’t. “And then they told us other little things that we don’t notice would be an issue,” she says. “For example, we’ve got a beautiful plane hanging in our foyer and for lots of kids who come in they’re terrified that that plane’s going to fall on them.” Once identified, triggers were worked into the script, too. Melbourne Museum developed the project in partnership with the Department of Early Childhood Development and Amaze, Victoria’s peak autism body. Amaze CEO Fiona Sharkie says one in 100 children in Australia are diagnosed on the autism spectrum, a developmental neurological condition that can produce life-long challenges with social interaction and communication and certain fixated behaviour and special interests. There is no known cause or cure. “The great thing about museums doing this is our constituency does have special interests they are going to particularly want to go to museums,” she says. 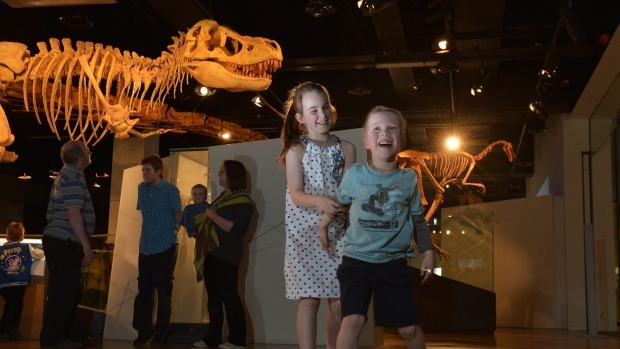 The project, which includes extensive staff training, recently won a Museums Australia (Victoria) award and is in the process of being introduced to sister museums Scienceworks and the Immigration Museum. Other organisations with autism spectrum programs include Sovereign Hill, Village Cinemas and Northland Shopping Centre. Read the story on Fairfax Media here.